May | 2010 | Ipoh Mali Talak Sombong! *Notice: The stretch of eateries at One Bangsar has been ordered to move out by the DBKL (KL Municipal Council) due to complaints by nearby residents. It is unsure where House of Tang has been relocated to, or perhaps they are closed down for good. If you’re wondering what happened to Oriental Spoon all these while, wonder no more. 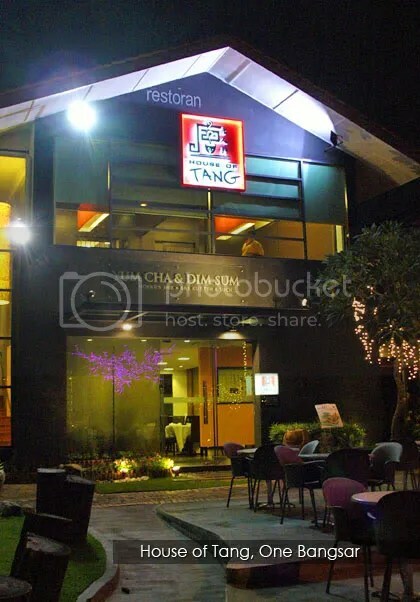 They have been relocated to One Bangsar, under a new name – House of Tang. I wouldn’t know about their relocation if it’s not because of Ivy, hence we went there for dinner last week together with Chris, Christine, Simon and another three friends. 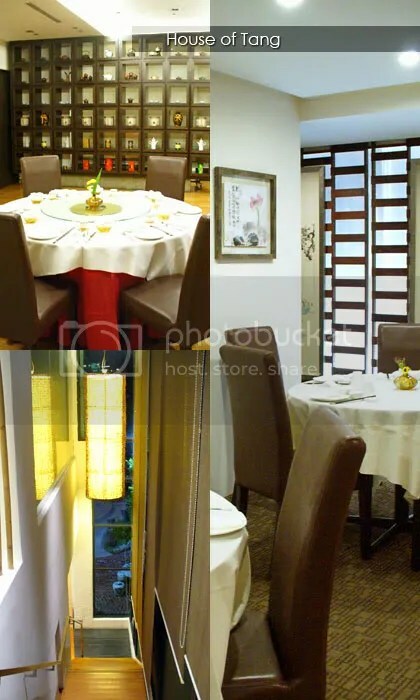 There was a familiar air around the place; for example, I could recognise the cutleries and furnitures, which were being used in Oriental Spoon before. The person in charge of our meal that night insisted that they do not use any MSG in their dishes. House of Tang still churns out dim sum all day long like how they used to do it before this, with some new creations, along with other Chinese dishes such as the Unagi Puff. 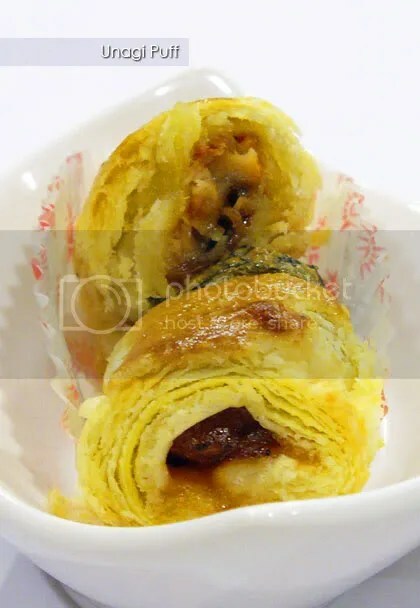 Tender, melt-in-the-mouth unagi (grilled eel) encased in flaky, slightly crispy phyllo pastry was a good start to whet our appetite. 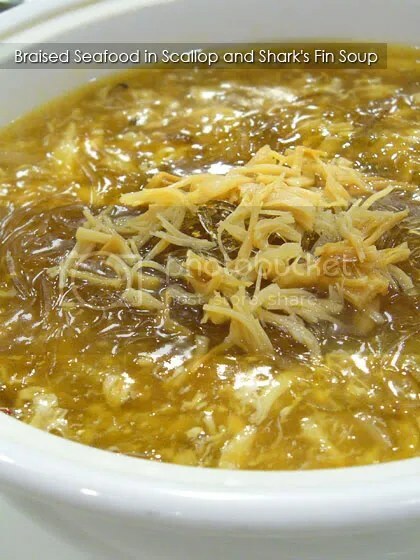 Shark’s fin, mushroom, dried scallops, crab meat, minced shrimp meat and egg came together in this rich soup, our second dish – I like the fact that they do not skimp on the dried scallops. 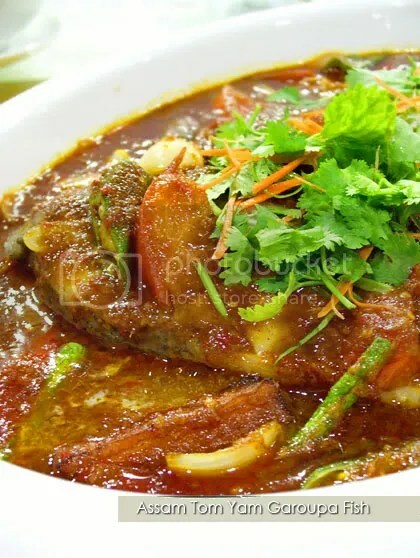 Huge slabs of garoupa fish was used in this dish, bathed in fiery red assam gravy with ladyfingers, brinjal, tomatoes, onion and long beans. Although the gravy looked fiery hot, I personally feel that they could improve on the taste (both sourness and spiciness). Get a bowl of rice to go with it! 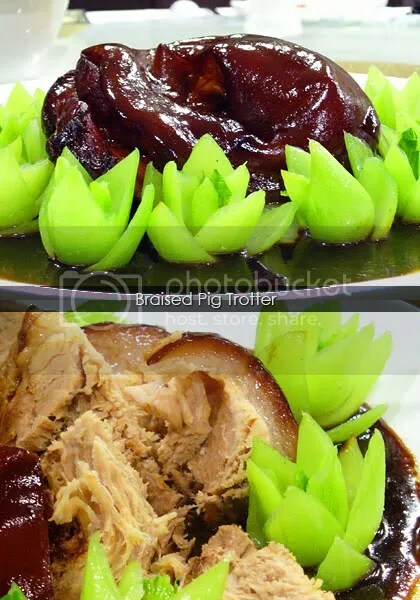 The Braised Pig Trotter seemed like a bit too fatty to be consumed, but when it’s cut, lean meat were abundant beneath the glossy skin. The meat were braised till fork-tender and very flavourful. The dark, thick gravy complements the meat very well. 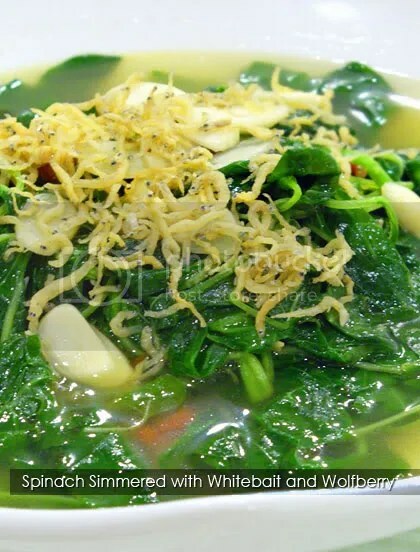 Two types of veggies were served that night – one being the usual Spinach/Pigweed in broth with wolfberries, topped with whitebait and the homemade beancurd with assorted vegetables. The pigweed was rather common, but we like the silky smooth and eggy beancurd very much. We had noodles to substitute rice for the night; the yee mee was cooked al dente and yet, absorbed most of the seasoning and sauce which was good to bite into. 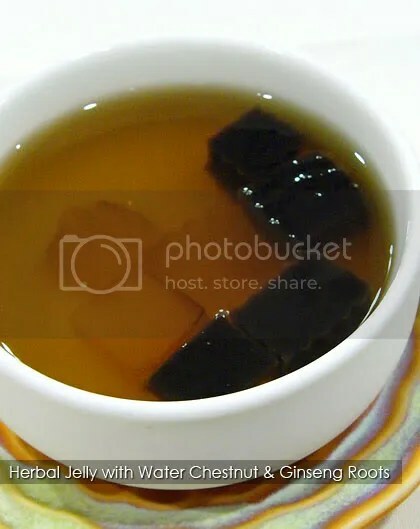 Wash everything down with a cool and refreshing concoction of ginseng syrup with Chinese herbal jelly. 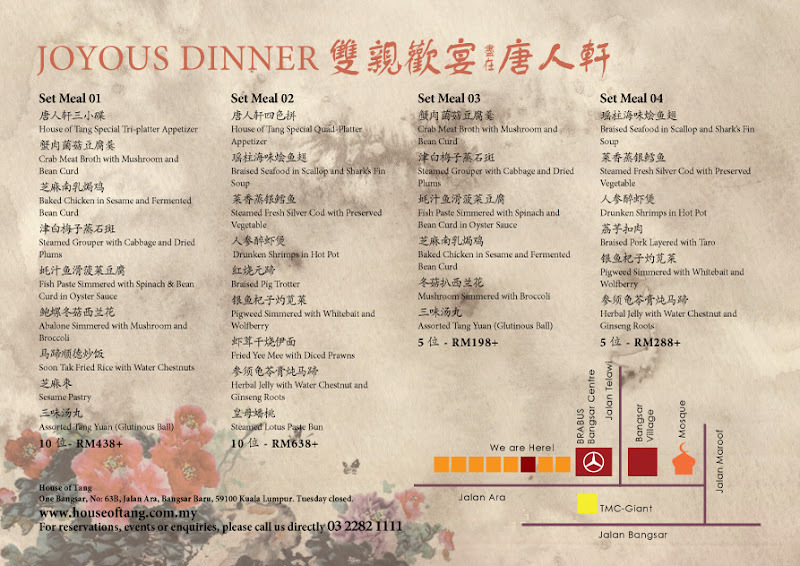 If you’re cracking your head to think of where to bring your dad for dinner for the upcoming Father’s Day, House of Tang is running four set meals promotion, priced at RM638, RM438, RM288 and RM198 respectively, all for 10 pax (not including service charge). View the menu here. 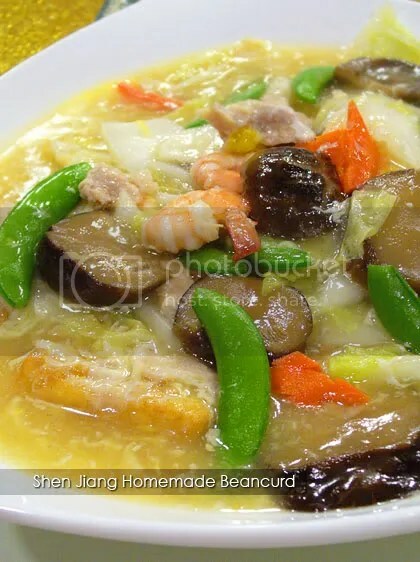 Recipes are abundant on the Asian Food Channel, don’t you think so? (unless you don’t watch that-lah). 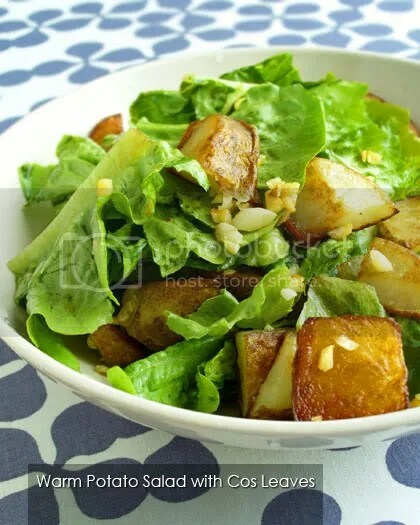 Programmes like Chef at Home, French Food at Home and Fresh with Anna Olson always gave me some inspiration to try something new such as this warm potato salad. Salad is always my favourite thing to make for potluck parties because it’s a breeze to prepare and healthy too. Cut the potatoes with skin on into medium-sized cubes. Try to cut them into similar size so they will be cooked at the same time. Heat 2 teaspoons of oil in pan and pan fry the potatoes till golden. Set aside in a mixing bowl. Chop the garlic into fine bits, then mix with the remaining 1 teaspoon of EVOO in a smaller bowl. If you don’t like the strong taste of garlic, reduce the garlic to 1-2 cloves. Add the salad leaves, garlic, salt and pepper to the potatoes and toss to mix well. 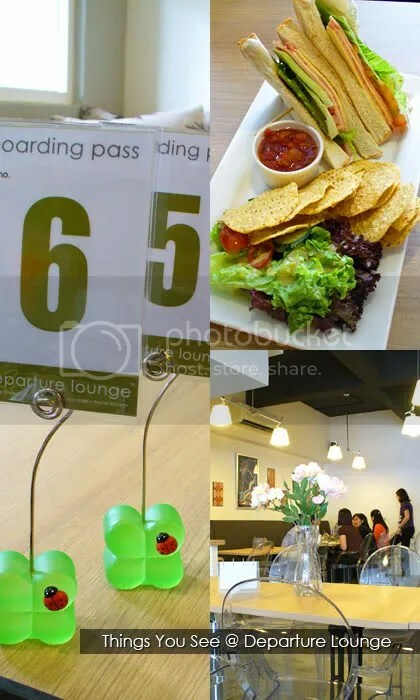 Janvier: Come, let’s do breakfast at Departure Lounge one day! Me: The one at Aman Suria? Janvier: Yesh! Got a lot of travelling books to read there too! Me: That’s why it’s being called Departure Lounge? But somehow, the plan never worked out. 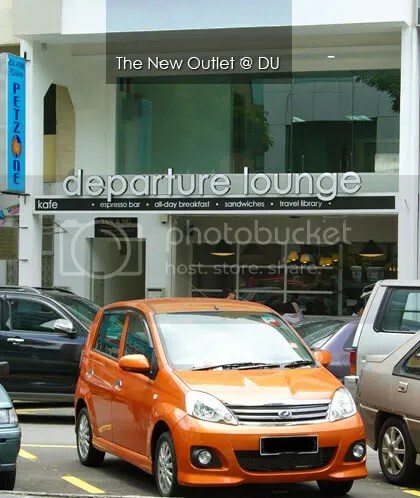 And then, the people behind Departure Lounge decided to move the outlet to Damansara Uptown in March 2010. The DU Project gang were excited, especially Penguin as she loves sandwiches. The place is brightly lit, thanks to the large window panels. Outdoor tables are available for smokers. 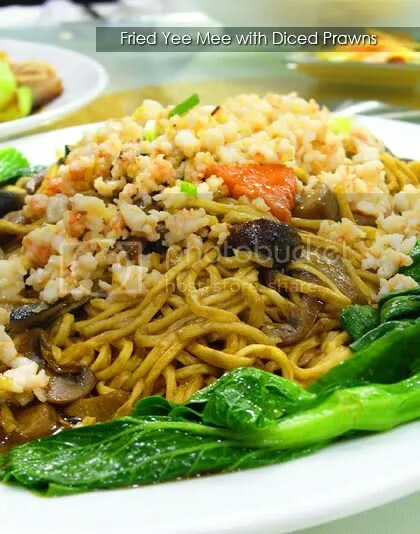 The menu is quite extensive, with choices ranged from sandwiches, pastas, soups, juices, coffee and teas. You would need to choose your order from the large menu, pay at the counter and you will be given a number. Plain water is FOC. 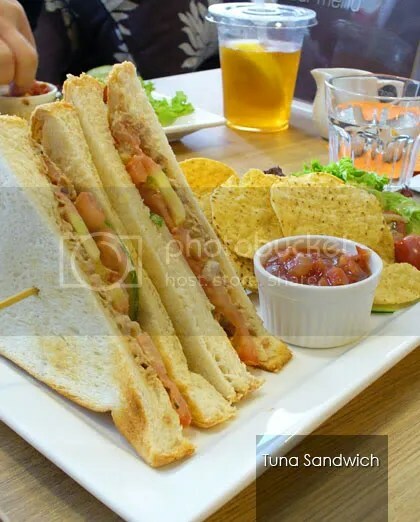 For the sandwiches, you can choose your preferred bread and add another RM2.50 to get a side order of nachos and dip. The girls are happy with the Ham & Cheese (not set, RM10.90) and Tuna (set with nachos, RM11.40). 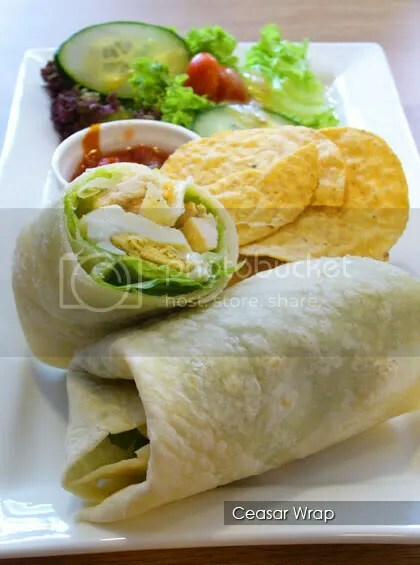 If you don’t like sandwich, try Caesar Wrap (set, RM13.00). The neatly wrapped lettuce with hard boiled egg and chicken strips in tortilla was quite good, albeit the price was a bit high though. 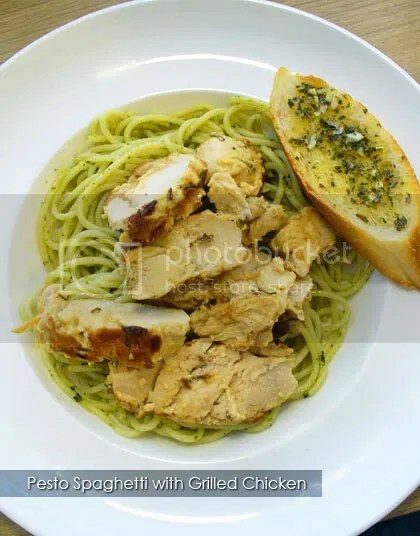 The pasta, however, lacked the taste of pesto and a bit overcooked – the rosemary marinated grilled chicken, being a winner here, outshone the pasta. 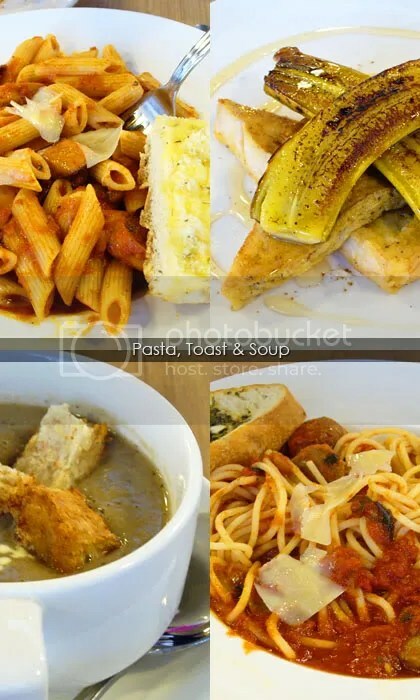 Penne in Tomato Sauce was okay, Penguin loves her Caramelised Banana on Toast; the bananas were caramelised perfectly and not too sweet, wild mushroom soup was decent – not the canned type and Chorizo Arrabiata Spaghetti (RM16.90) was quite good as the chorizo lend a smoky flavour to the pasta. Despite some hit and misses, I think that Departure Lounge did pretty well on their first week of opening. Close on Sundays and major holidays. Close on Tuesdays and major holidays.